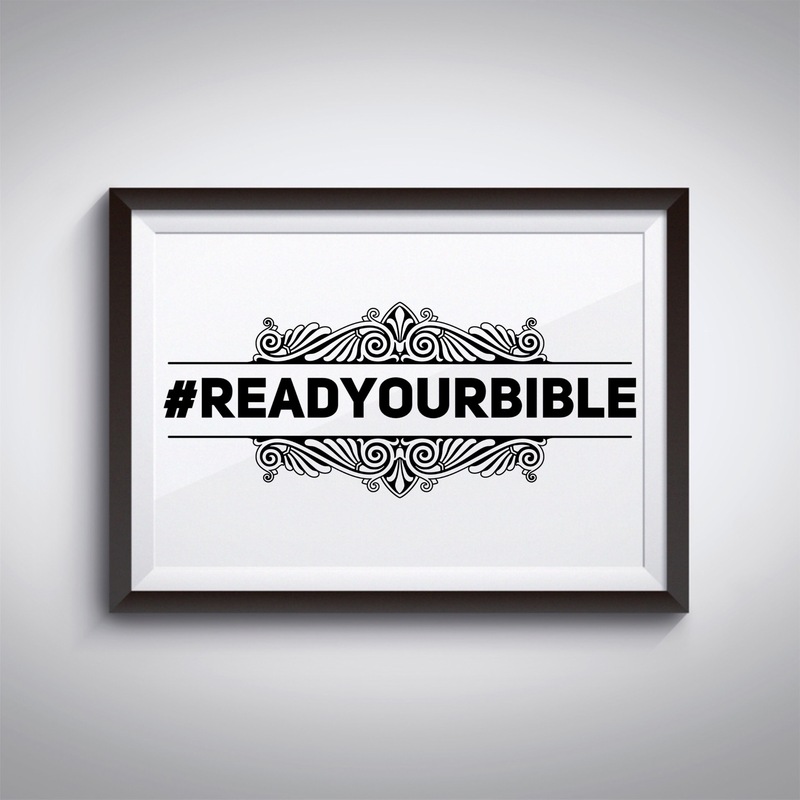 Continuing the #ReadYourBible series, I answer why we should read the Bible. There is no way we can ever hope to know God, without reading His word. The Bible is God-breathed, it’s the Word literally out of His mouth. Can you hope to know anyone without speaking to them? No! And, in the same way you can’t begin to grasp His greatness without His word. God’s word is the only truth, in a world where we constantly have to seek out the truth from lies. He is who the Word says He is. He can do what the Word says He can do. Although the Bible was written centuries ago, don’t feel as if, it’s outdated. There is nothing new under the sun, you can even find your-modern-self in the Bible. The people captured in the stories of the Bible, are just plain old people. Some good, some bad, and most of them are just in between. But, once you realize this is a person that once lived, and you get to flip through the pages; and learn from their hardships, heartbreaks, and mistakes. I’m not talking about your ‘haters’, or the people at your job. I’m talking about well… satan (he doesn’t get a capital letter). Rather you’re saved or not, he can’t stand you! But, he’s really upset at God for throwing him out of heaven, and Jesus for dying on the cross. So, he picks with us, since he can’t bother with the Father and the Son. And, especially if you’re saved, he has a bone to pick with you. But, what his intention is, is to separate (saved and not saved) from the one and only true God. He’s a liar, and a good one too. He’ll provoke, lie, and convince you of something he created. So, we need to stand firmly on God’s truth. When we have a habit of reading our Bibles, we can rebuke him; “that’s a lie”. He can deceive you into believing everyone dislikes and talks about you. He’ll make you question your relationship or marriage. He’ll say you’re unloveable, and unattractive. He’ll say ANYTHIHG. And, that’s why it’s so important to read the Truth. So lashing out at yourself, your spouse, your coworkers, and anybody is a waste of time. We fight with an open Bible and prayer, and fasting. Never forgetting, he has no power, only influence. He is no god, he’s a fallen angel, and God will deal with him (read Revelation, yup the whole book). God is worth getting to know. Read my previous post on getting started reading the Bible. Now that I’ve done it daily for the last four months, I’ve learned so much about God. I even learned so much about myself. I’ve built my confidence up in God. When God says you are_____ you can’t help but feel small and important at the same time. I beg of you to get to know God by opening your Bible. He’s awesome, so worthy of peeling back the cover and digging into His word for your sanity, validation, and confirmation.